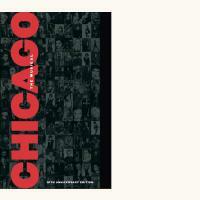 Rob Fisher, John Kander, Walter Bobbie, Ann Reinking, Bebe Neuwirth and more discuss Chicago and its 10th Anniversary. Bebe Neuwirth celebrates the 10th Anniversary of the stage production of the musical Chicago. Director Walter Bobbie describes the magic of Chicago’s stage revival. Tony-Award winner Ann Reinking talks dance, Fosse and about the revival of the musical Chicago. Legendary composer John Kander shares the story of the musical Chicago. Music Director Rob Fisher breaks down the score of Chicago.